Did you want to eat simple breakfast in Melaka? 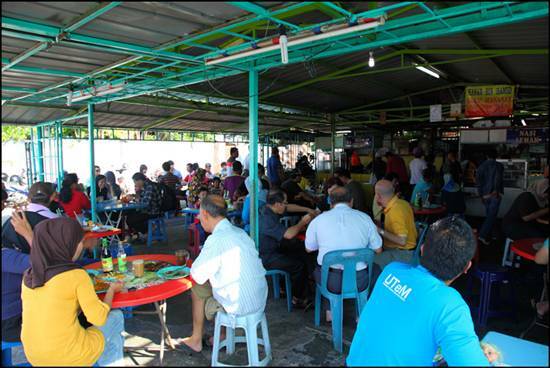 In Melaka there are plenty of place where you can go and eat. In Melaka, there is plenty of Malay eatery that you can find such as fried rice, “nasi lemak, fried noodles, malay “kueh”, fried kuew teow and many more. 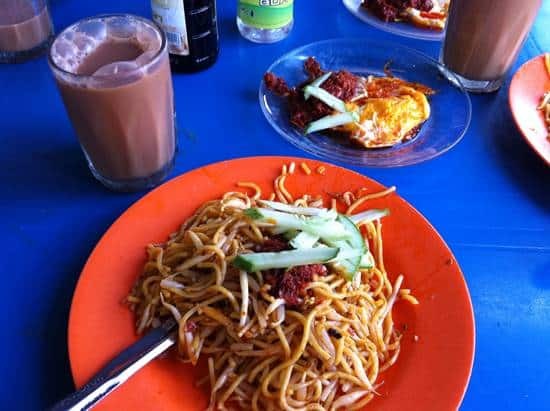 “Mee Bodoh Tengkera” is one of the famous foods in Melaka. “Mee Bodoh” is actually a Malay traditional fried noodle. You probably wondered why the noodle is called “Mee Bodoh”. Actually “Mee” is stand for noodles while “bodoh” means stupid in Malay language. Why people call this noodle as stupid? Well this is because the noodles is prepared by using really basic ingredients. That is why the local people here call it as “Mee Bodoh”. What is the specialty of “Mee Bodoh”? Where we can find this “Mee Bodoh”? If you really eager to try this special noodle, you can go to Kampung Lapan, Tengkera. The stall name is Hassan’s Mee Goreng. The place is situated near the Methodist Girl School. The stall is opened form 8am until the noodles is finished. The stall is closed in Friday. However, you are advised to come here early because this place is usually packed with people and the parking place is hard to find. What is the price for this noodle? The price for this noodle is RM1.50 per plate. The price for the fried egg is RM0.70 for one egg. You can request how much fried egg you want. The added slice cucumber, vinegar, soy sauce and sambal are free for you to add. Here, the waiter will send you the noodles only and not taking order. You must queue to make an order. The fastest way to get your order is by taking the fried egg first. So you must not be upset if the waiter did not answer your call. Besides the “Mee Bodoh”, they also sell “nasi lemak”. However the number of customer here is really high, so you must come early to taste this special fried noodle. Could you send me an address or gogle map of this place?